From track manager Rich Trevelise. Raceway Park Motocross This Weekend!! We Are Going To Cancel The Scheduled Youth Race For Saturday And Make Saturday An Open Practice Day. Racers Coming In On Saturday For Practice Will Need To Pay The $15.00 Sunday Spectator Fee. IF You Leave On Saturday After Practice We Will Refund Your $15.00 spectator Fee. Sunday Will Be The First Race On The New Race Track!! This Is Also An AMA Pro-Am Event. We Will Be Using Transponders For Scoring, Rental Fee Is $10.00. 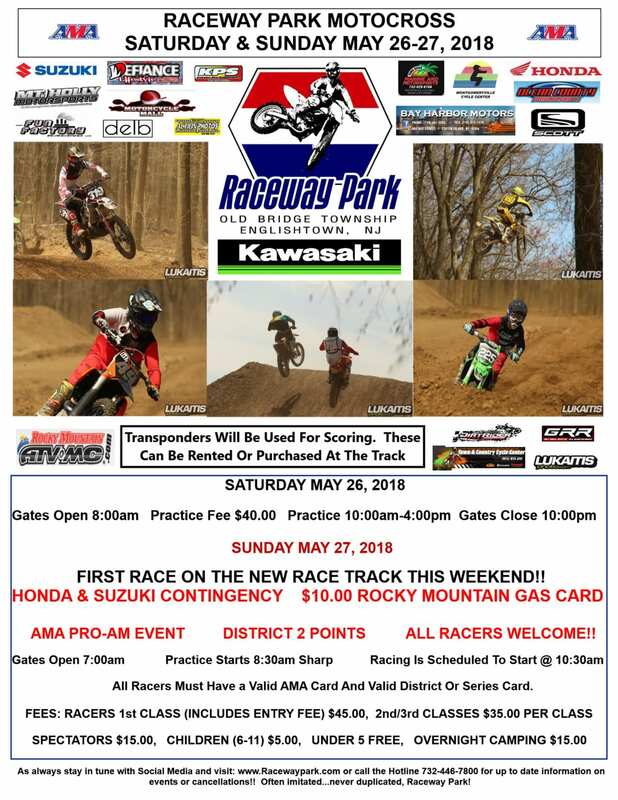 Hope To See You This Weekend At Raceway Park! !